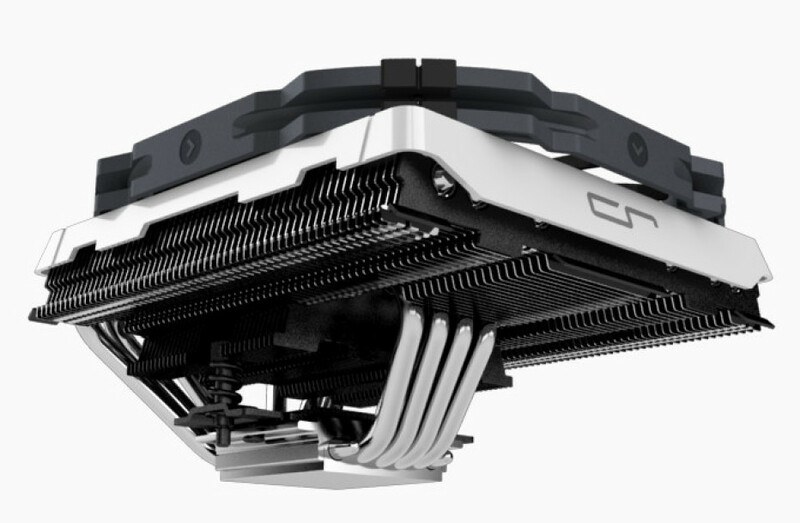 You may be familiar with most CPU cooler makers but there’s a new kid on the block – a company known as Cryorig. Although a newcomer to this market segment the company starts big with a rather interesting cooling solution known as C1. The C1 CPU cooler targets the growing ITX form factor and this is the reason why it comes with height of just 7.4 centimeters. The cooler combines DirectCompress technology and a silent 140 mm PWM fan and this makes it possible to cool high-end processors from both Intel and AMD with TDP that reaches 140 watts. The C1 measures 144.5 x 74 x 140 mm and weighs 628 grams. The cooler makes use of 6 fully sintered pure copper heatpipes including 4 double TDP capacity U-type heatpipes. The CPU cooler fan runs at 700-1300 rpm and moves up to 65 CFM at 28-30 dBa. The price of the new cooler is unknown at the moment but this is not that much of a problem, given that it will be available in May in Asia and in June in Europe and North America.